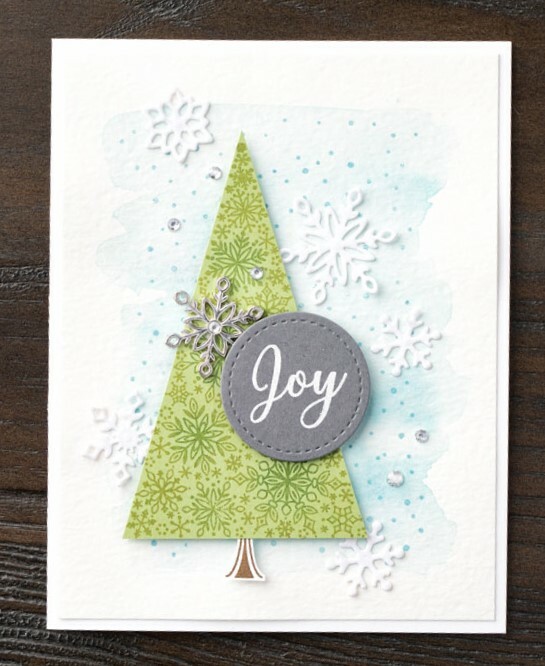 Hi everyone, I have another gorgeous card to share with you today using items from the fabulous, and sadly limited edition, Snowflake Showcase. This card was also created by one of the amazing Stampin’ Up! designers. I’m sure you will agree this card is wonderful. The card was created using the Snow is Glistening stamp set and the coordinating Snowfall Thinlits dies. I think you can guess that I just love this entire suite. Don’t miss your chance to get these items as they are only available until the end of the month (or while stocks last)! Hi everyone, when I first saw the Snowflake Showcase I was blown away by the samples shared by Stampin’ Up! They are gorgeous. The card I am sharing today is one of the samples Stampin’ Up! 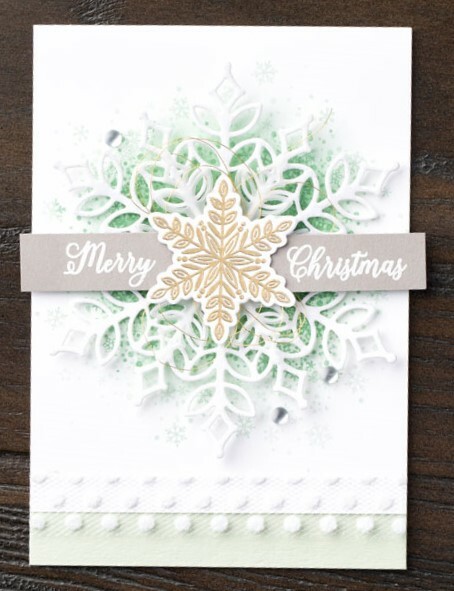 shared and it features the Snow is Glistening stamp set and the coordinating Snowfall Thinlits dies. It is such a pretty Christmas card! Isn’t it lovely? So pretty! Don’t forget the items in the Snowflake Showcase are only available until the end of the month (or while stocks last)!